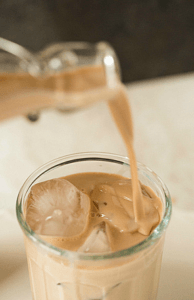 Easy Homemade Baileys Recipe – Add Some Moonshine For A Kick! This homemade baileys recipe is a favorite that I’ve perfected over the years. It makes a great gift for the holidays or a nice treat that can be served to family and friends at your next party. Below I’ll show you how to make Bailey’s at home. This is an easy recipe that anyone can make and will make 4 cups of Irish Creme Bailey’s if you want to make more simply double or triple this recipe. If you don’t have any moonshine on hand you can use vodka or grain alcohol as a substitute just make sure you adjust the volume of alcohol appropriately. 1.5 cups of Moonshine – use 80 proof or adjust volume depending on your abv. 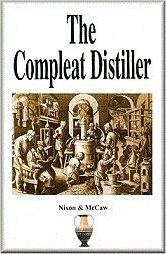 If you don’t have any moonshine use vodka or grain alcohol. Get out your blender and pour the sweetened condensed milk, cream, moonshine, instant coffee, vanilla extract and chocolate syrup into the blender. Place the lid on top and blend for 20 seconds. Taste and add more moonshine if you want it to be stronger. Remember you can always add more but you can’t take it back out once you’ve added it. When your satisfied either serve over ice or pour into mason jars and store in fridge. If you’ve got a Bailey’s recipe you’ve made before and liked share it below in the comments section. If you try this recipe let us know how you liked it! We love to hear from our readers. 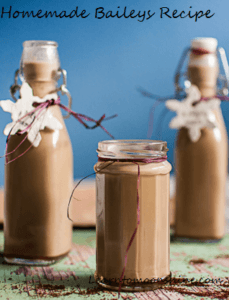 3 Responses to "Easy Homemade Baileys Recipe – Add Some Moonshine For A Kick!" It’s never lasted more then a few weeks in my fridge.. I’d say your good for a few months the alcohol in it will do a real good job at preserving things!